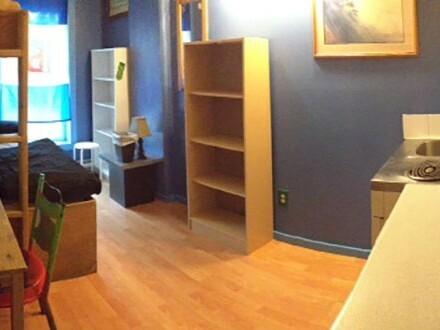 We have 14 shared dorm rooms with 4 to 10 beds. Our dorm rooms are separated into weekly stays and season-long dorm rooms. All of our dorm rooms are mixed gender. Communal ski locker available to use for ski/snowboard/gear storage. 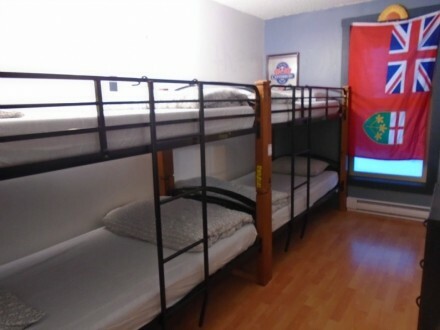 We have 6 private rooms with a double and single bunk bed as well as a kitchenette, and 1 private room without a kitchenette. Lots of space for all of your belongings. Booking with us? A few things you should know! Cancellation Policy – We offer a 48 hour cancellation/change policy, should you need to cancel or change your reservation for any reason simply notify us 48 hours prior to your arrival to avoid the one night cancellation charge. Over holiday periods, we have a 7 day cancellation policy. Your booking must be paid in full upon arrival. If you have booked a long term bed you must cancel/change one month prior to your arrival date to avoid being charged the first months stay. When choosing to end a long term booking early you must give a one months notice. Please be advised that all guests are expected to pay for the total duration of their booking even if they choose to leave early. There will be no refunds for any unused portion of your stay. All bookings are 100% nontransferable.